We’re all excited to see how the Hearthstone Championship Tour (HCT) Summer Championship will play out beginning next Friday, Oct. 13, at the all-new Blizzard Arena Los Angeles. As a companion to the Choose Your Champion promotion, we’re pleased to be unveiling all 16 players’ deck lists, as well as some insight into what to expect based on what your favorite pros are bringing. Consistent with the Spring season, the Summer Championship will be played in Conquest format, best-of-five matches, with each player able to ban one of their opponent’s decks—meaning everyone needs four unique class deck lists. Read on for the complete analysis of what’s being played, followed by all the deck lists! 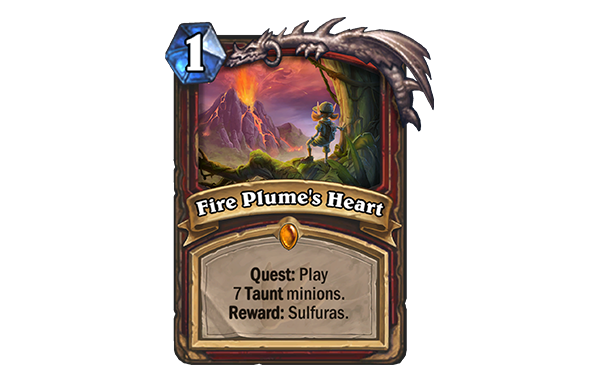 The HCT Summer Championship will feature decks representing all nine classes. Although that representation is sparse—one Hunter, two Mages, three Warriors, four Paladins, and five Warlocks—it remains a noticeable departure from the seven classes played in both the Winter Championship (no Hunter or Paladin) and the Spring Championship (no Hunter or Warlock). After the Patch 9.1 balance changes, Priest was widely anticipated to be strong against the field, and the pros agree: All 16 players are running Highlander Priest. 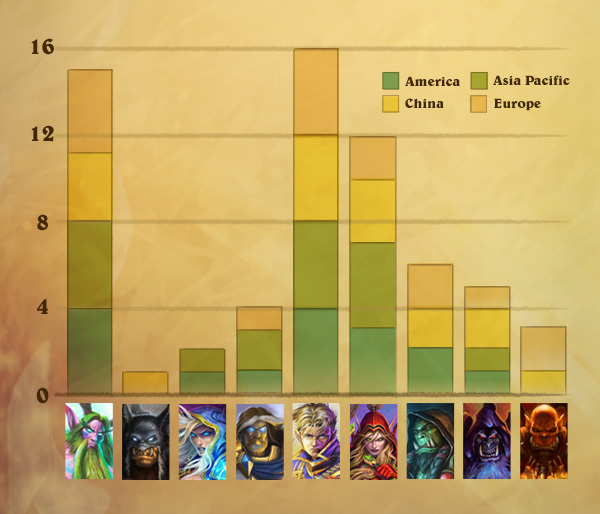 It even pulled ahead of Jade Druid, which is in 14 players’ lineups—and Jade Druid has gotten progressively more popular over the course of the competitive year (five players brought it to the Winter Championship, seven to Spring). Rogue has experienced an impressive resurgence, and a dozen players are bringing variants on tempo-oriented Rogue decks to Los Angeles. These three archetypes—Highlander Priest, Jade Druid, and Tempo Rogue—are the core of the tournament, with 10/16 players bringing all three. The most common lineup in the tournament will feature those three decks plus Token Shaman, with Orange, Pavel, Purple, and YAYtears bringing the same four archetypes. There are a few other noteworthy standalone decks in the tournament: Nalguidan is running the only Control Mage, which plays a medley of Freeze cards, removal, and big threats like Medivh and Arcane Giants. The lone Highlander Mage in the tournament is tom60229’s, which has a similar game plan—but trades consistency for flexibility, and for the swing turns that Inkmaster Solia and Kazakus can facilitate. A singular Aggro Paladin appears in cocosasa’s stable, and the dozen 1 Mana cards it runs suggest he’s looking to close out those games in a hurry. In stark contrast, Amyks has the tournament’s only Control Paladin, which he’ll hope to stabilize with and force longer games. The surprise throwback of HCT Summer belongs to Amyks and his Quest Warrior—a deck that five players brought to the Spring Championship, but not one most players likely expected to see again here. Bans will vary substantially by player, as the Summer Championship’s field is simultaneously quite consistent (10 players running three identical class archetypes), but surprisingly wide (15 archetypes across nine classes). For some, the strategy is well-telegraphed: Amyks will ban Jade Druid to protect his Control Paladin and Quest Warrior, while OmegaZero will almost assuredly ban Priest to race down the Rogues and Druids using his Aggro Druid and Hunter. For the folks who have safer, more consistent lineups, bans will either be informed by tech choices, or simply comfort picks. Given its prevalence, Highlander Priest is liable to be a typical fallback, while anyone playing any type of control deck will laser in on removing Jade Druid. The occasional player may look to limit the blowout opening potential of Tempo Rogue. 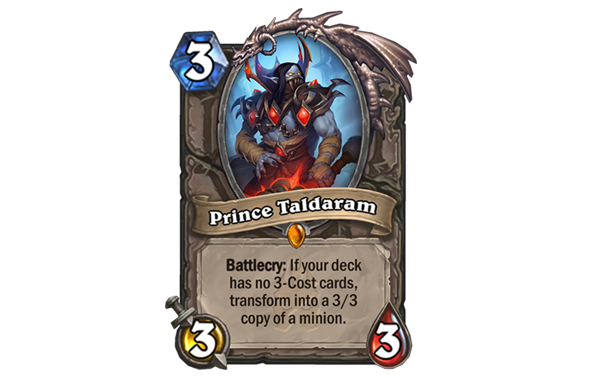 Baize has the tournament’s only Prince Taldaram as a surprise inclusion in her Token Shaman list, replacing the usual Mana Tide Totems with Cult Masters to facilitate draw. Her list features unexpected Masters of Evolution, as well. She’s also opted for the only copy of Shadowcaster in her Tempo Rogue. One of Prince Keleseth's more obscure brothers. Mind Control Tech isn’t an uncommon inclusion to respond to board-flooding aggro decks, and OldBoy, Pavel, and YAYtears each brought it in their Jade Druid decks. Our two color players—Orange and Purple—both snuck the tournament’s only Gadgetzan Auctioneers into their Highlander Priest decks, and each brought a lone Sea Giant in their Token Shaman lists. A card that rarely sees competitive play, Starfall features in the Jade Druid lists from tom60229 and YAYtears. In a similar vein, Amyks reached into the vault for the only Cabal Shadow Priest in the tournament, despite all 16 players bringing Highlander Priest. That’s it! Below, you’ll find the complete deck lists for all 16 players competing in the Summer Championship—and you can take them out and play them yourself with ease using the Deck Importing feature. Who did you choose as your champion? Which deck list will you import and experiment with? Let us know in the comments, or on Facebook or Twitter using #HCT.